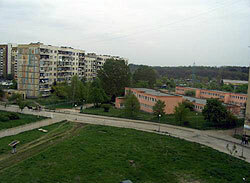 Sofia’s largest residential complex, Lyulin is a relatively new municipality on the city’s outskirts; its first blocks went up in 1973. Lyulin’s large population (120,000) lives within its 10 municipal districts, and is well-served by public transport, making it easily accessible from Sofia’s centre. The municipality is named after the Lyulin Hills in the west.